It was, however, a surplus of garden tomatoes that prompted me to make this dish last night. 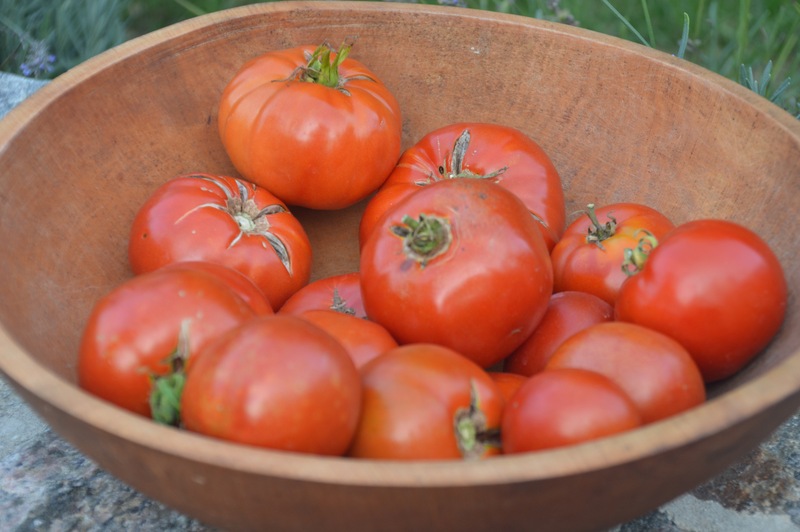 We waited all summer for these beefsteaks to ripen, and now we can’t eat them fast enough. So – into the soup pot went all the tomatoes that were a day or two away from mush. The winter squash was a last-minute inspiration; the curry/chili was a little thin (a perfectly fine soup), so I decided to add a block of frozen squash I had in the freezer. 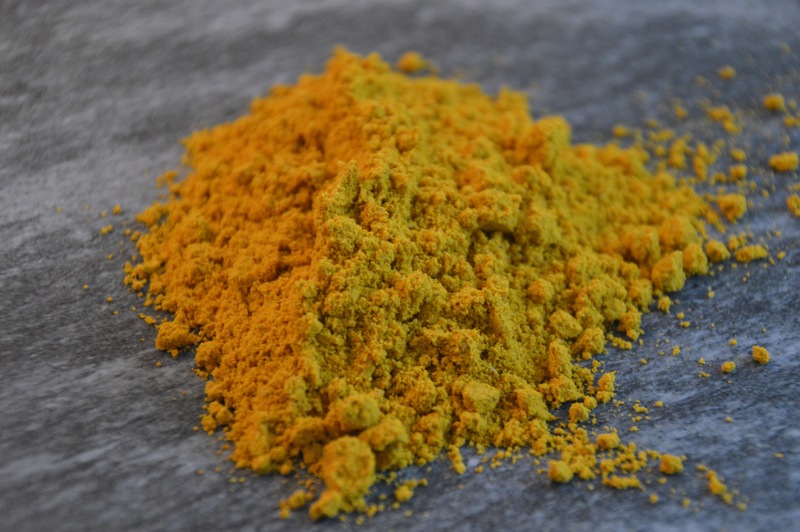 Because the squash was already cooked, it magically dissolved into the chili – leaving only a velvety texture and autumnal orange hue as clues to its presence. Finally, a word on spices. (Curry, in this case, but it’s true for all.) Make sure yours are fresh! It really does make a difference in the final product. 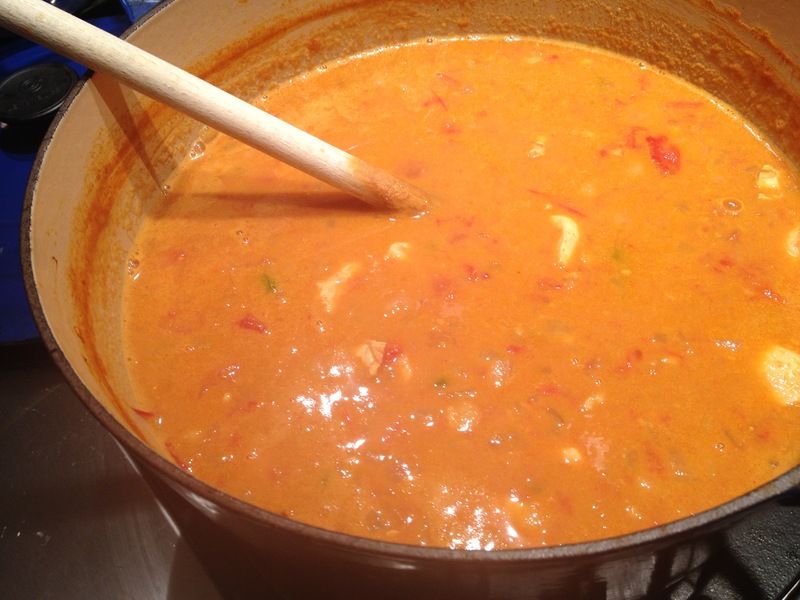 In a large heavy soup pot or Dutch oven, heat oil over medium-high heat. 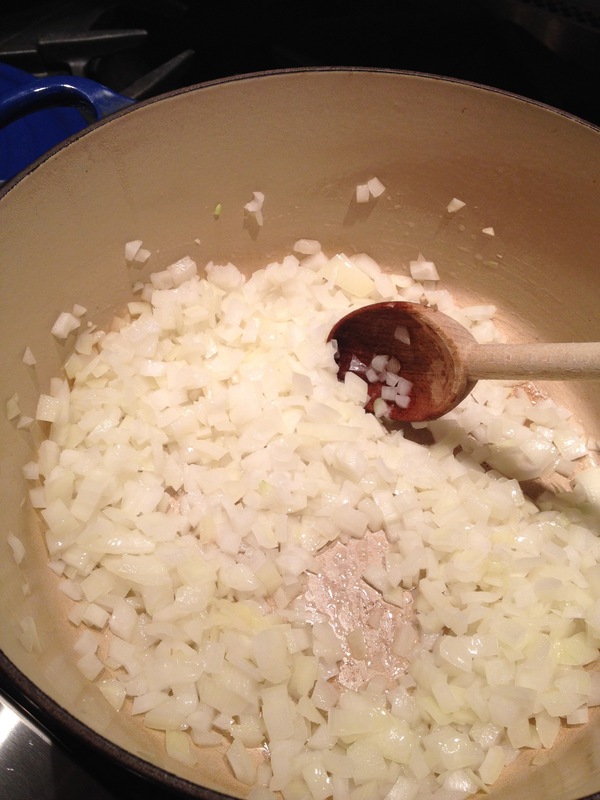 Add onions and sauté for a few minutes until softened. 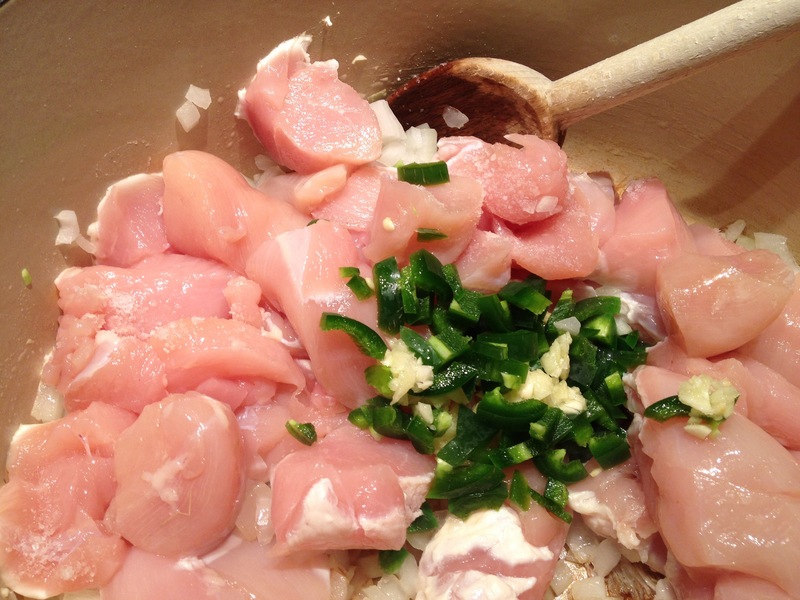 Sprinkle chicken with 2 teaspoons kosher salt; add to pot along with jalapeño and garlic. Sauté until chicken is just starting to brown but not cooked through. 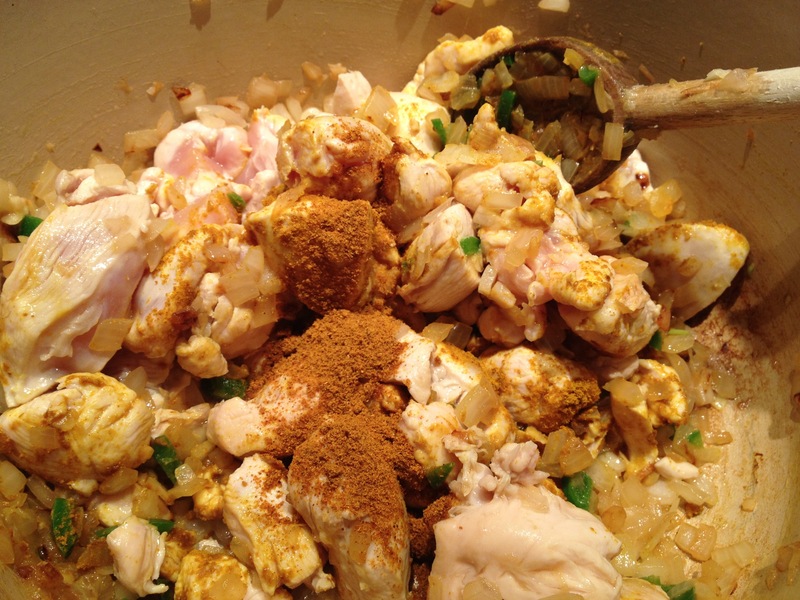 Add curry powder and cook another 2 minutes. 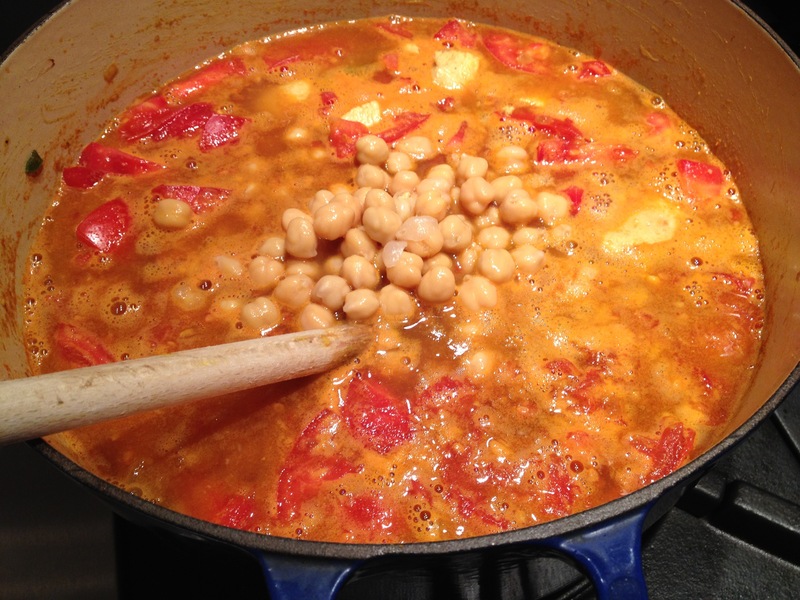 Add tomatoes, chicken broth, garbanzo beans, peanut butter and brown sugar; bring to a boil and then reduce heat to low. You can just “eyeball” the peanut butter, vs. using a measuring cup. I use Jif brand. Simmer uncovered for about 30 minutes, stirring occasionally, until tomatoes have cooked down. Add frozen winter squash and continue to simmer for 10 more minutes or until squash is incorporated and chili has thickened. Taste for seasoning, adding more salt or sugar as needed. For more heat, add a pinch of crushed red pepper flakes. 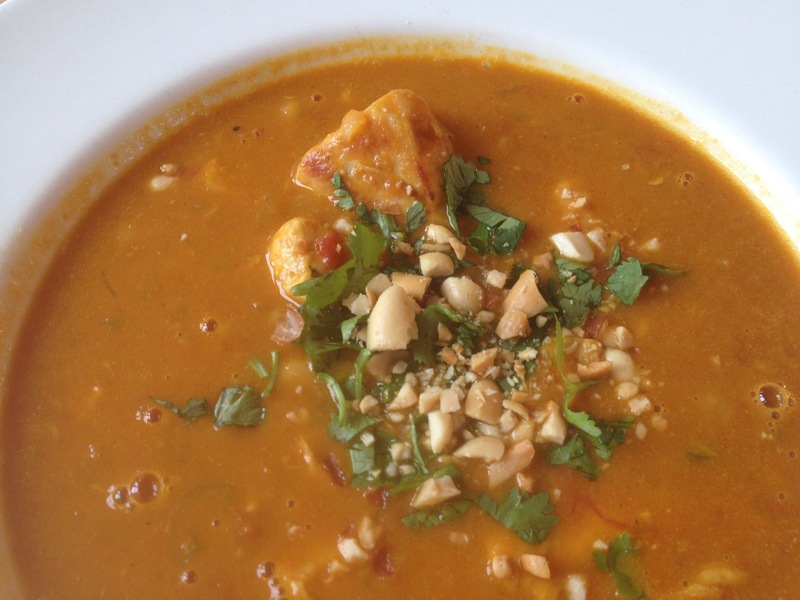 Garnish with chopped peanuts and cilantro, if desired. Diced avocado is nice too. Serve over rice if you’re going for curry, or with tortilla chips if you’re calling it chili. This entry was posted in Fall Favorites, Soups, Vegetables and tagged chili, chili cook-off winners, curry, garden tomatoes, gluten-free, Soups by subeeskitchen. Bookmark the permalink. Cannot wait to try~love a one pot wonder! Salut, ma chère — luckily for you, white sugar can be used in place of brown sugar for this recipe. Start with a little less and see how it tastes. You need to start up a brown sugar importing business! 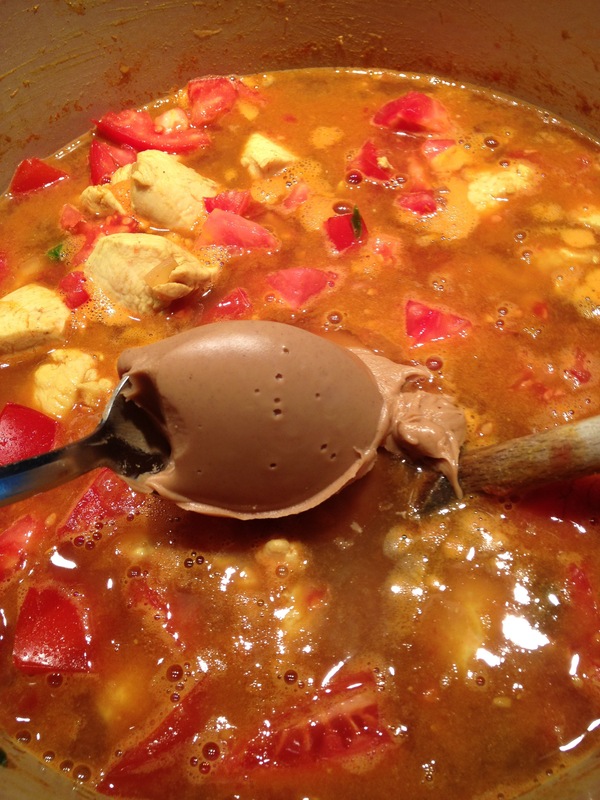 Making this Sunday … After all or out soccer and football, it is a warm and comforting smell in my kitchen. Whole family loved this! Even my picky seven-year old who “doesn’t like chicken” asked for seconds. Thanks, Monica! Glad you liked it. Freezing 1/2 is a great idea. So I decided to swap the chicken for firm tofu and the chicken broth for vegetable. That’s it…fantastic!! Thank you again,SuzieQ!!! I just made this tonight — had really nice fresh green peppers so I used those in place of the chicken for a meatless version. 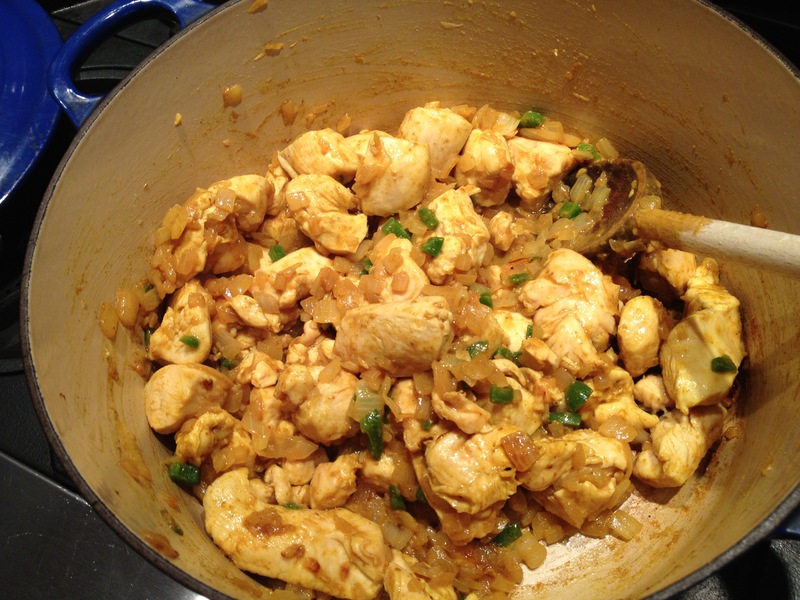 I used fresh butternut squash and added it in with the tomatoes so that the chunks softened. 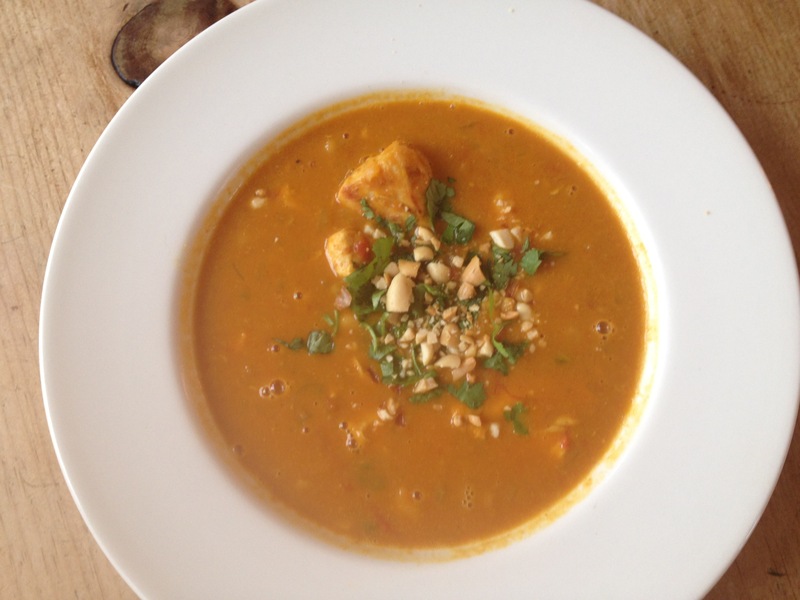 And then I added in a cup of Jasmine rice so it turned out as a curry stew – so yummy!